Patients suffering from one of the many hundreds of rare diseases known to exist have a better chance than ever of finding a treatment. Companies large and small continue to invest, given high unmet need and very targeted populations. Progress must continue: many conditions remain un- and under-diagnosed, and many more are therapy-less. Yet the growing number of new approved therapies must now be accompanied by creative approaches to paying for them. Sanofi in early February secured expedited US approval for Cablivi (caplacizumab), which treats acquired thrombotic thrombocytopenic purpura (aTTP), a rare and often fatal disease characterised by unwanted blood clotting. The compound came to Sanofi via the French group’s $4.8 billion acquisition of nanobody company Ablynx in January 2018. Patient numbers for individual conditions may be small (TTP is thought to affect fewer than four out of every million people; aTTP even fewer). But the dollars involved are not. Sales of drugs designated as treating orphan diseases – nowadays including most targeted cancer treatments – can reach many billions. Merck’s Keytruda (pembrolizumab) is the poster child of blockbuster orphans. Its 2019 estimated annual sales are between $7-9 billion, thanks to its suite of (mostly orphan-designated) approved indications. The price tags for such orphan drugs are attractive for developers, too – and more than make up for the low volumes. Keytruda costs more than $13,000 per month in the US, though actual prices, and those in other markets, vary widely. Hence rare diseases are now, collectively, a popular franchise for even the largest Big Pharma. Sanofi, Novartis and Takeda, which underwent a $46 billion merger with rare-disease-focused Shire in 2018, are also leaning increasingly on orphan treatments to boost growth amid patent expiries and declining sales of older, more mass-market drugs. Novartis in April 2018 bought AveXis for $8.7 billion, keen to access a late-stage gene therapy candidate for spinal muscular atrophy (SMA), and a broader gene therapy platform. The SMA therapy replaces the defective gene that is the root cause of the disease, meaning it may become a one-time treatment. It was filed for US approval in October 2018. New and complex treatment classes like gene- and cell-therapies often address rare diseases, because these may result from defects in a single gene or group of genes, and/or are sufficiently serious to warrant higher-risk, less well-tested approaches. Spark Therapeutics’ approved gene-therapy Luxturna (voretigene neparvovec) treats a rare inherited retinal disease. Amgen’s oncolytic virus Imlygic (T-VEC) has orphan designation for a kind of skin cancer. 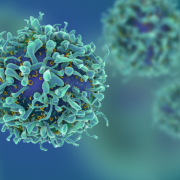 There are multiple other similar therapies across the industry development pipeline – next-generation CAR-T therapies, checkpoint inhibitors, oncolytic viruses, gene therapies and more. Many have, or will have, orphan designation for increasingly narrowly-defined (sometimes genetically-defined) indications. These advances are great news for patients. Such programs remain risky individually, but Big Pharma can absorb set-backs more easily than most biotechs. Nasdaq-listed Solid Biosciences saw its shares plunge more than 70% in early February when it got the dosing wrong in a Phase I/II study of gene therapy candidate for Duchenne muscular dystrophy. Yet biotech teams are still diving in: Axovant Sciences is reinventing itself as Axovant Gene Therapy after the failure of its initial strategy – polishing up discarded small molecule drugs (which had pulled in a cool $2 billion from investors). Eventually, this wave of actual and potential blockbuster-orphans may force new ways to pay for drugs. These therapies are worth their weight in gold to individual sufferers and their families. But as they grow in number, they will place an increasing burden on health systems. Novartis, Spark and others have already engaged in outcomes-based deals, though these remain the exception. Amid a wider and louder drug pricing debate, it is in all parties’ interest to ensure that risk-sharing and other value-based payment approaches, like rare disease treatments themselves, become the rule. Imagine if, by 2034, three quarters of all cancer sufferers survive the disease. That is the aim of the Union for International Cancer Control (UICC), which leads World Cancer Day on February 4. It’s an admirable goal. 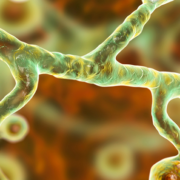 This most deadly and cunning disease is newly-diagnosed in 18 million people across the globe each year. It continues to devastate lives and families, even amid the extraordinary scientific progress driving new treatments. These same new treatments, while often life-prolonging and sometimes life-saving, also contribute to the huge economic cost of cancer. This was estimated, in a 2014 IARC World Cancer Report, at over $1 trillion per year; it is now likely to be a lot higher. Discussing the cost of saving lives is awkward, but necessary. This necessity is reflected in the ongoing pricing debate across pharma more broadly, as governments and payers seek sustainable ways to fund a growing range of more sophisticated medicines. Disease prevention strategies provide part of the answer. Investing $11 billion in cancer prevention strategies in low- to middle-income countries could save ten times that in treatment costs, according to Knaul et al.’s 2012 book, “Investing in Cancer Care and Control.” And while prevention does not, at first glance, look like a great commercial model for pharmaceutical companies, investors have not shied away from supporting companies like GRAIL Inc., which is seeking a test to detect cancer early, when it can be more successfully treated. GRAIL has raised over $1.5 billion in the last three years. The privately-owned company is about to begin a prospective longitudinal study of 50,000 people without cancer, to determine how well its next-generation sequencing-based blood test can detect cancer. About half of the participants will be considered ‘high-risk’ for lung and other cancer types, due to smoking history. The study will be conducted in partnership with the UK’s University College London and the UCL Hospitals National Health Service Foundation Trust, along with Lung Cancer Alliance, a non-profit based in Washington, DC. communities to promote and support healthy lifestyles; for early detection – requiring companies and health systems to implement more widespread, effective screening; and for successful treatment. Effective cancer treatment, increasingly, means more personalised treatment. Personalised or precision medicine is being enabled by new technologies and new kinds of data, allowing scientists to combine patients’ genomic and other molecular data with clinical and life-style information to create a fuller picture of their disease – and to choose the most appropriate treatment. According to a 2018 paper by Marquart et al. in JAMA Oncology, just over 8% of US cancer patients are eligible for FDA-approved, genome-driven cancer therapies. About 5% would actually benefit from the treatment. Those numbers may not appear very high (and they also assume universal testing and access, which is far from reality). But the authors say the figures have increased linearly by 0.5% annually between 2006 and 2018. Precision medicine will play a greater role in future, as tests become more accurate, cheaper and accessible. But practical and economic constraints make them difficult to scale. So investment must continue into broader therapeutic strategies like cytotoxic drugs and into non-personalised immuno-therapies. Indeed, amid the plethora of exciting new immuno-therapy approaches (such as cancer vaccines and oncolytic viruses) practical considerations such as cost and manufacturing are, increasingly, front of mind. That’s in part because of the competition. Oncology is the hottest therapy area for deals and fundraising across the life sciences. Competition is forcing developers to think beyond the science in order to differentiate their offerings. It is forcing them to consider the economic costs of cancer. That’s good news for everyone. Buy any 5 reports and only pay for 3!